The slip-on Dodger sneaker features the intricate new intrecciato pied-de-poule workmanship, an important part of the season’s story of pattern and texture. 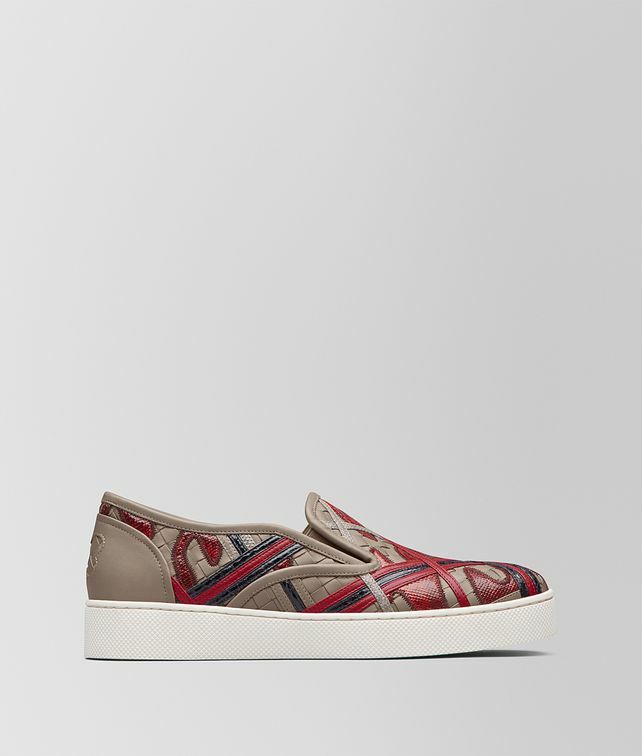 The style has a broken houndstooth motif created with laser-cut panels of ayers embroidered on a base of traditional intrecciato nappa, and finished with sporty stripes of ayers. Finished with a substantial rubber sole with a micro-intrecciato texture.